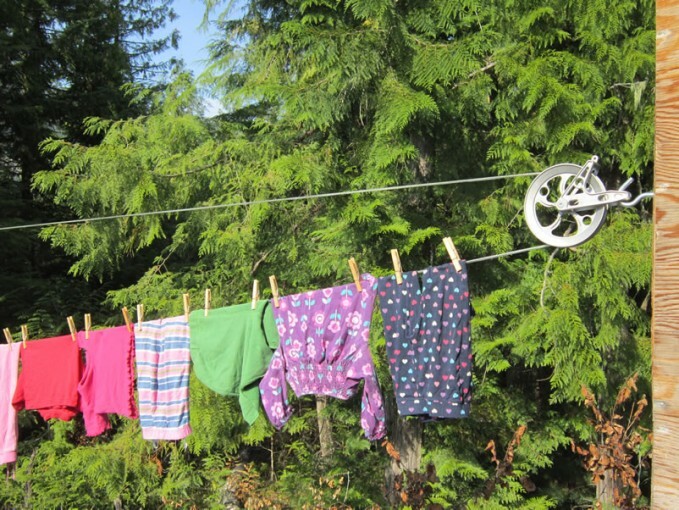 We put up a clothes line this summer at our new house, and I just had to take a photo of it. How nostalgic as well as environmentally sound is a clothes line!? I love seeing the kids’ clothes lined up together, reminding me of how quickly they grow. And hanging the laundry not only gives me satisfaction because I am reducing electricity use, it also gives me a little space in the day for a peaceful (yet practical!) meditative activity.